4.) 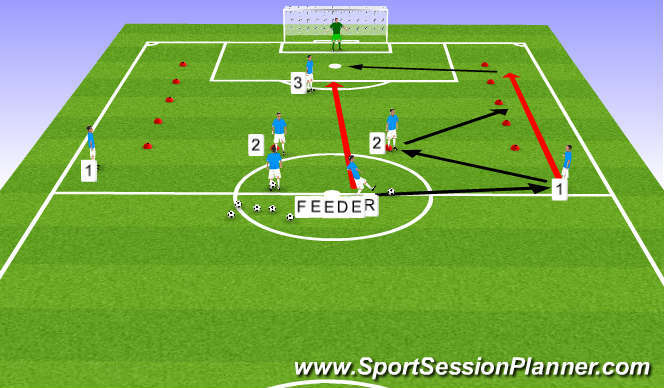 Player 1 should then cross the ball into the box for Player 3 (the striker) to attack. The left hand side should then follow the same combination. Make sure roles are changed around to give players a go in every position. 3.) 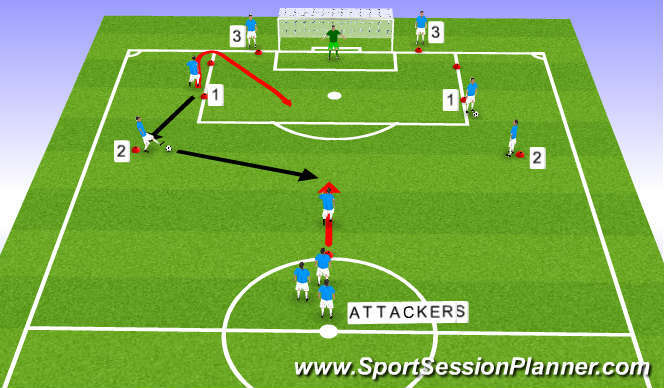 It is then up to the attacker to make the following decisions: do they take the shot first time, take a touch and shoot, try and beat the defender and shoot, look at the goalkeeper&apos;s positioning and decide where the ball needs to be placed. 3.) 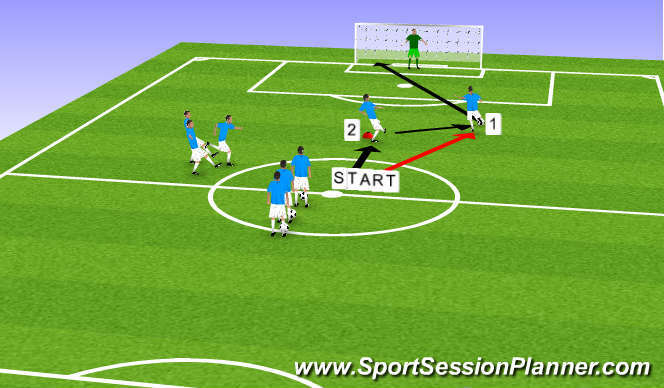 After the Attacker shoots at goal they then have to receive the ball off the two Player 3&apos;s in any order. They have to be able to get there ahead of the defender and shoot. So in total the attackers have 3 shots at goal. The main focus should be the attacker looking at the goalkeeper and defender&apos;s positioning and making the correct decision when to shoot and where to place it.